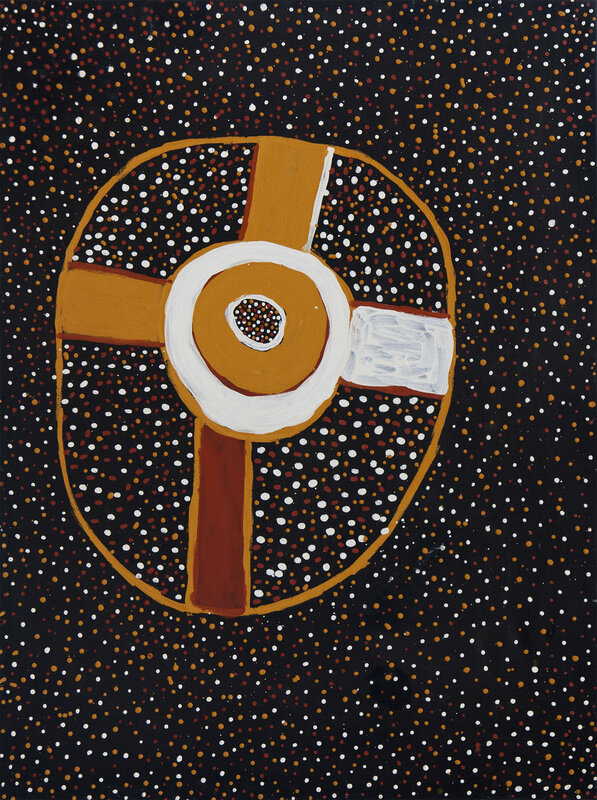 Selected paintings and sculpture from the Northern Territory and Western Australia by Australia’s leading indigenous Artists; Mabel Juli, Timothy Cook, Churchill Cann, Banduk Marika, Nonggirrgna Marawili, Nyapanyapa Yunupingu and Djirrirra Wunungmura. For millennia, Aboriginal people throughout Australia have used ocher for ceremonial body painting, traditional rituals & as a paint for artefacts & message diagrams associated with their nomadic lifestyle. Ocher is primarily natural pigments and minerals found in the soil, or even in charcoal and is one of the principal foundations of Australian Indigenous art. The first Australian Aboriginal art collected by European people was in the form of ocher on eucalyptus bark, long before the use of canvas & linen & acrylic paints. 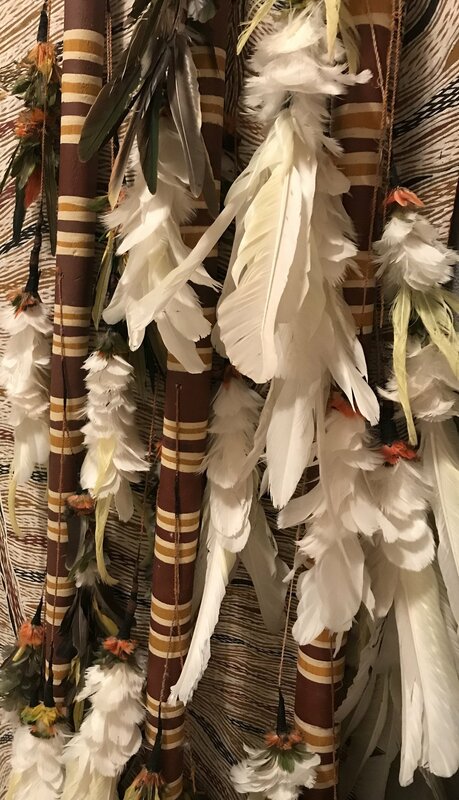 Today Gija artists of the Kimberley region of Western Australia along with the Tiwi and and Yolngu artists of the Northern Territory have carried on the tradition, using only natural ochers/earth pigments for artworks. Ochre still has a spiritual significance to Indigenous people with a connection that goes back unbroken for tens of thousands of years. The use of ochre underpins, to a large extent, Indigenous art and culture from all around Australia.